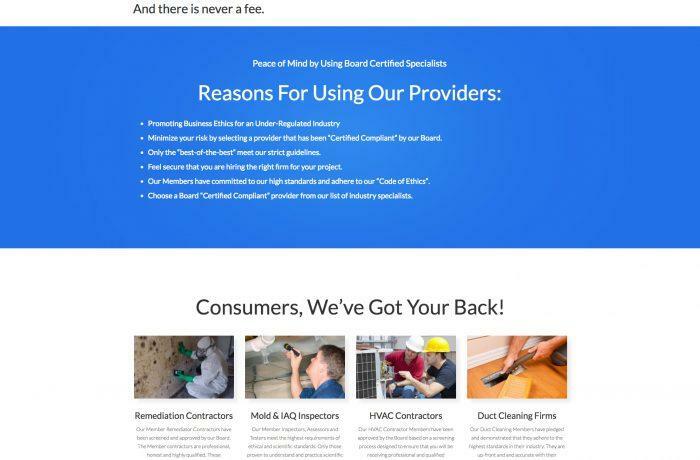 Ron Yountz approached NC Web Pros about developing a website for his new startup company, Mold and Indoor Air Quality. The site had to be easy to manage as well as a separate login for MIAQ members. The new site was built using WordPress and WP Membership.